Is This The Turning Point For The Solar Power Industry? Yes, it’s true. While you’re at IKEA, buying your Ektorp armchairs, Billy Bookcases, and Variera plastic bag dispensers, you can also pick up a roof’s worth of solar power panels. The Swedish retail giant and purveyor of flat-boxed merchandise equipped with catchy names, monolithic assembly instructions, and, of course, the requisite Allen keys, have introduced solar panels to their British lineup. And, you can breathe a huge sigh of relief–no assembly is required. sembling flat screen TVs–come with a price tag of approximately $9,500 for a semi-detached house. This includes an in-store consultation with a Hanergy solar advisor, a design service, full installation, and an energy monitoring system. Why enter the solar panel industry? • IKEA has only introduced its solar panels to the British market and has not announced its plans to enter any other markets at this time. Steve Howard, IKEA’s Chief Sustainability Officer, says that the company chose Britain as a test market due to the fact that the Government has financial incentives in place for those wishing to switch to solar power and that Britain currently has mid-level prices for electricity. They decided to roll out a nationwide program after a successful pilot project at their Lakeside store. • Solar panel prices have dropped over recent years, making it a good time to enter the marketplace. • Head of Sustainability for IKEA, Joanna Yarrow, states, “We know that our customers want to live more sustainably and we hope working with Hanergy to make solar panels affordable and easily available helps them do just that.” With hopes of expanding their lineup of sustainable products down the road, the introduction of solar panels appears to be in keeping with IKEA’s desire to “un-pave” the way for a greener tomorrow. What else is IKEA doing? IKEA’s colors have always been royal blue and vibrant yellow. But what do you get when you mix them together? Green, of course. And IKEA is living up to its name as a Green Company–recently achieving the title as the second largest private producer of solar power in the United States. And their next goal is to become completely self-sufficient in the energy department by 2020, and with almost $1.8 billion dollars set aside for solar power projects, it is right on track. Currently, 39 of its 44 American stores have solar panels installed. IKEA also recently signed a Climate Declaration with thirty-two other international conglomerates to press the United States to adopt better policies for reducing its carbon footprint, increasing the use of sustainable energy sources, and fighting climate change. What does this mean for solar power? IKEA’s move into solar panels could cause ripples in the whole solar power industry. • Until now, the notion that companies outside the “utility” industry would enter it en masse had seemed an impossibility. 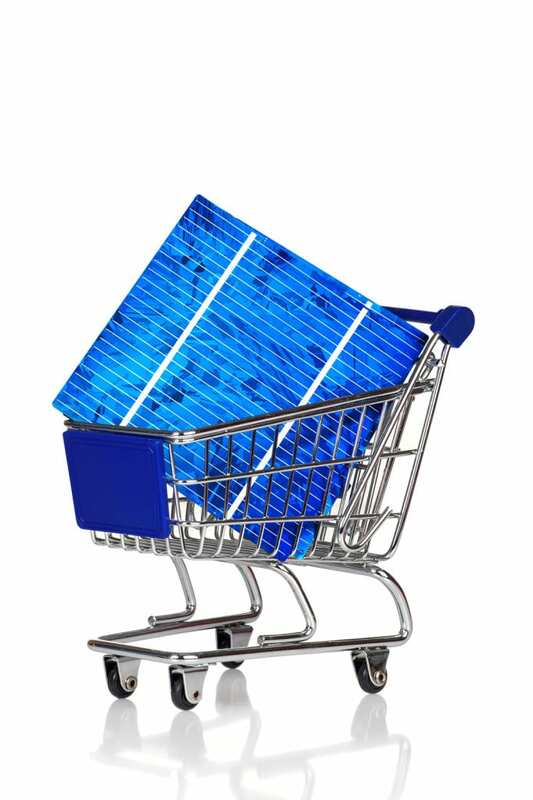 With IKEA’s bold move, other large retailers may also add solar energy items to their lineup. • With easier access to solar panels, the public will become more aware and educated on alternatives to traditional power sources. For example, before IKEA began its pilot project, they quizzed shoppers about their knowledge on solar power and found that many had false information regarding the cost and the level of sunshine required to power them. Thanks to greater visibility, these misconceptions can now be addressed. • IKEA and Hanergy’s efforts to improve the appearance of these panels and remove their “ugliness” may also lead to a greater willingness to adopt them. It will be interesting to watch as IKEA’s solar panel products are presented to the British public nationwide. Perhaps, if all goes well, they will make their way across the Atlantic to the Swedish supplier of Poang chairs, Chosigt cheese graters, and bags of Glimma tea lights near you. Would you ever consider buying solar panels from your local IKEA store? Kimberley Laws is a freelance writer and avid blogger. While she has not yet adopted solar power, she is a master of repurposing all sorts of stuff including old dressers, used cubicles, and Pringles containers. You can follow her at kimberleylaws.com.